The One Piece - Durable Blood Pressure Cuff is an affordable blood pressure cuff solution, designed to be easy-to-clean and disinfect. 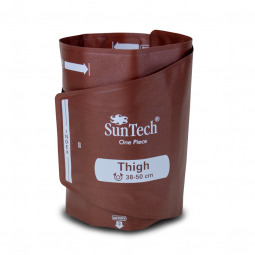 They are strong enough for repeated use in any clinical environment, making them ideal for today's stringent infection control policies and ever-increasing cost pressures. The bladderless design of our one-piece blood pressure cuff makes it simple to use and easy to clean. 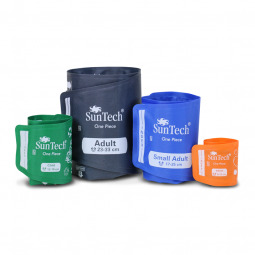 Available in single- or dual-tube configurations with various connector options, this cuff provides you with the option for cuff standardization throughout your facility. This means you now have one of the best values in a reusable, one-piece cuff that can be used anywhere you are providing patient care. Easy Cleaning & Disinfecting: Minimal cross-contamination without compromising longevity. 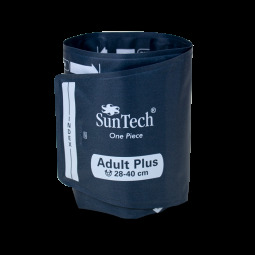 Best Value: Single piece construction provides an affordable reusable cuff with the durability required for most clinical environments. Easy Application & Fit: Unique tapered tail design makes the durable cuff easier to wrap and apply versus regular straight cuffs. Color coded sizes and range markers support proper cuff sizing, fit and accuracy. Patient Comfort: Improved patient comfort by eliminating sharp corners that can irritate patients during wear. 100% Tested for Reliability: Each and every durable cuff is leak tested to provide value and reliability. Meets Regulatory Standards: Engineered to meet the AHA, AAMI-SP10, and MDD regulatory guidelines for results you can trust. Multiple Configurations: Single or dual tube configurations with various connector options provide neededflexibility to integrate with most healthcare facility's equipment. Need more information or pricing? Request a quote here and learn how we can be the difference in clinical grade for you! How do I clean the One Piece BP Cuff? Medical Disinfectant Spray - The cuff may be sprayed with a mild disinfectant solution (e.g. Cidezyme®, ENZOL®, or 10% bleach solution), rinsed with distilled water, and line dry.· Ensure that no liquid enters the bladder tubing. Machine Wash - Remove bladder to machine wash the cuff shell. Machine wash warm (50–130°F, 10–54°C) with a mild detergent and line dry. 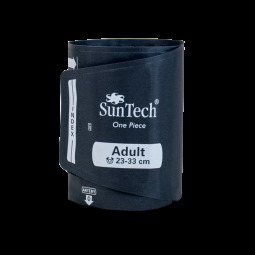 SunTech Medical presents a tutorial for proper blood pressure cuff sizing for use with our All Purpose Blood Pressure Cuff. The sizing guide is applicable to most general use blood pressure cuffs. 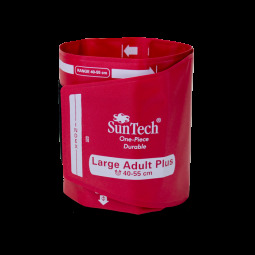 SunTech Medical presents the proper placement techniques for a blood pressure cuff using our All Purpose Blood Pressure Cuff. This tutorial is applicable to most general use blood pressure cuffs. Discover the Difference with One Piece BP Cuffs Today! Request more information about One Piece BP Cuffs for use in your office.